October is finally here, so that means you can load up on candy corn, pumpkin flavored everything and don your jackets for the cooler weather. It also means that you can begin sending your Halloween greeting cards! We have loads of free printable cards here at FreePrintable.com, and all of them are completely customizable. Would you like to be able to add a picture, your friend's name, or a short poem before printing out your cards? You can with our customization tool! Within minutes you can have a personalized, unique card printing out right from your printer at home – no going to the store, browsing through cards that all look the same. Whether you need a card for a birthday, anniversary, Halloween, Thanksgiving, Christmas or any other holiday, you'll find just what you need right here. We're adding more printables all the time, so check back frequently! You may be asking, "What's the point of sending a card nowadays? I can just send a text message!" That’s true, but text messages are so impersonal. As with email and posting a greeting on Facebook, it seems like the least-effort method for an obligatory greeting. Don't make your greetings come off as if you have to send them. Put some thought into them and make them special for your intended recipients. A great way to do this is by choosing a greeting card (even a free one), personalizing it with your own message and mailing it or hand delivering it. Isn't that much friendlier than an electronic message? If you truly can't get to the post office or to the person, though, our greetings can be saved and sent via email and other electronic means. However, we urge people to get back into the practice of mailing or hand-delivering free printable greeting cards as it helps people connect with each other a little better when we see the other person's handwriting. How do you create a meaningful Halloween greeting card? Try writing a poem. It doesn't have to be long, and it can even be funny. Kids and adults alike will appreciate the thoughtfulness that goes into a short poem. If you can't think of a poem, though, just write a couple of lines from the heart – yes, even for Halloween! 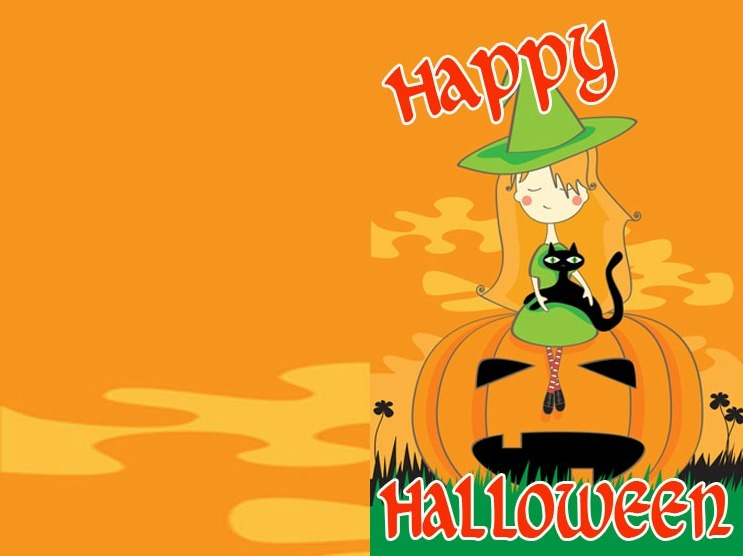 Below are some ideas for Halloween greetings you can use with your cards. Happy Halloween to my little pumpkin. Can make for a spooky, fun night. My friend, you're a delight! As you can see, the words don't have to be eloquent or fancy. Just have fun with them!